As winter draws to a close in Southern California, it’s about time for the Apple Blossom Festival in Oak Glen. 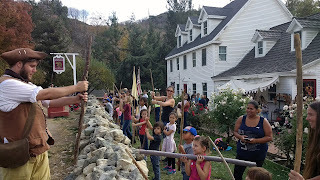 This year’s Apple Blossom Festival will feature gem panning, an outdoor picnic, colonial games, a treasure hunt, queen competition, live music, petting zoo, Native American dancers, crafts, art workshops, fishing, horse rides and more. The festival takes place April 16th and 17th with most events running from about 10 a.m. to 6 p.m. 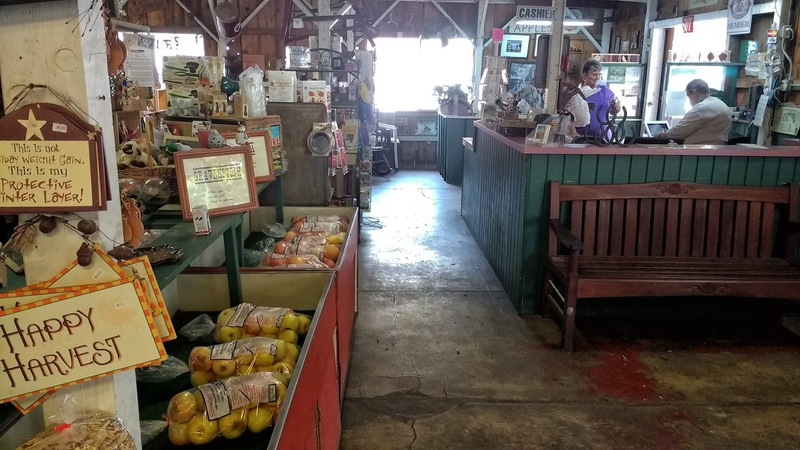 If you’ve never been to Oak Glen before, this is probably the perfect time to check out Southern California’s 'apple country'. Believe it or not, Southern California does have seasons. While the temperature in Orange County and Los Angeles may only drop by 10-15 degrees in the winter months, the mountains in San Bernardino County are a very different story. It’s not unusual to see annual snowfall totals in the mountains which reach 8 feet or more. The colder climate in the foothills of these huge mountains allows farmers in Oak Glen grow crops that you might not expect to see so far south, everything from grapes and blackberries, to apple and cherry trees. 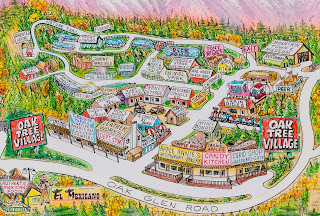 As you travel around the five-mile loop in Oak Glen, you can explore dozens of local farms, ranches, orchards, bakeries, shops and wineries. Oak Glen is arguably the best place in all of Southern California to grab a homemade apple pie or a jar of apple butter. It’s a totally different world than Orange County or LA. Oak Glen really does feel like a country town you would expect to find in the Shenandoah Mountains of Virginia. 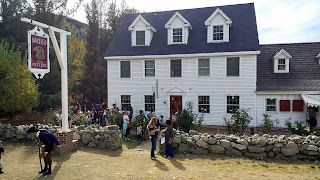 My favorite stop on the loop in Oak Glen to grab a bite is at the Hawk’s Head at Riley’s Farm, a colonial style restaurant which is modeled after an 18th century tavern. They specialize in comfort food and they’re probably most famous for their pot pies. The waitresses at the Hawk’s Head dress in colonial costumes, the portion sizes are huge, and the homemade apple cider is served in chilled pewter tankards. The $10 appetizer of fried sausage and apples was so large that our party of 5 was able to share it with some to take home afterwards. I’m determined to go back to the Hawk’s Head and try the hard apple cider next time I’m in town. We happened to catch a re-enactment of a revolutionary war battle that was being held outside on the farm for a group of local school kids. They do reenactments pretty regularly at Riley’s Farm and you can always check the calendar for any other upcoming events. The kids all seemed to be having a blast and it made for great after dinner entertainment. Riley’s Farm also has a period-authentic bakery where you can pick up homemade bread and pies just like they used to eat in the colonies. Other highlights along the 5-mile loop in Oak Glen include Apple Annie’s at Oak Tree Village, the Snow-Line Orchard and Winery, the Stone Soup Farm and Heritage Orchard, and the Serendipity Ranch Bed & Breakfast if you’re looking for a place to stay. If you visit in July, you can also check out the Colonial Faire which has food, crafts, live music, reenactments and overnight camping. 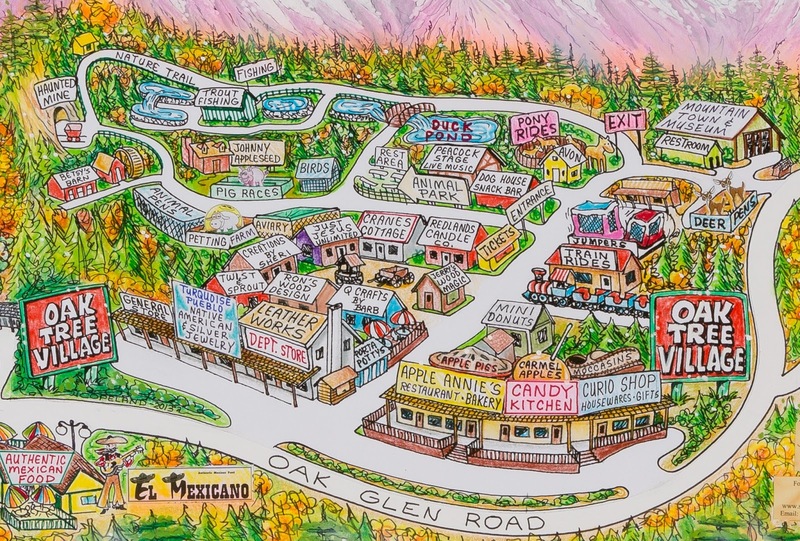 Oak Glen is located at the foot of San Gorgonio Mountain. With a height of 11,503 feet, it’s one of the largest and most prominent peaks in Southern California. The entire mountain range in this area is designated as a National Forest and there are enough great hikes in the area to fill and entire book. For those of you who are in the area and want to do some hiking, you can make a scenic half hour drive from Oak Glen up the mountain on route 38 to see one of the best waterfalls in Southern California, Big Falls. With all of the snow we’ve been getting this year, the falls should be better now than they have in years.